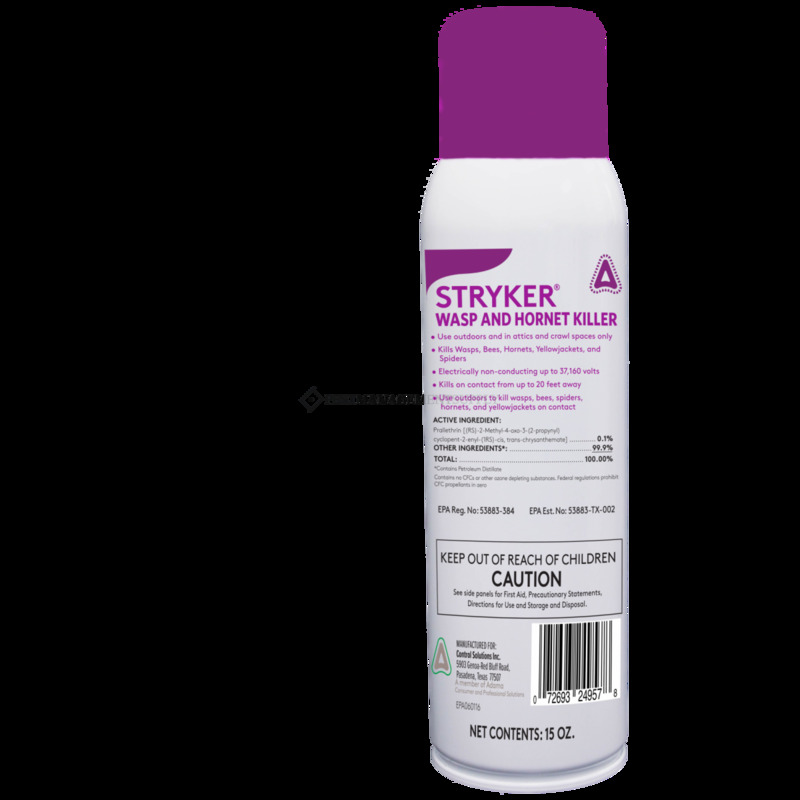 Stryker Wasp and Hornet Killer Pressurized Solutions kills oncontact up to 20 feet away providing application safety. Can beused outdoors and in attics and crawl spaces. 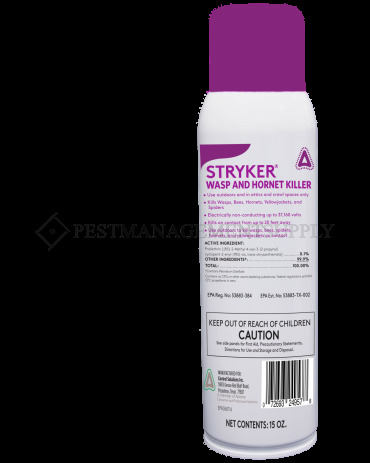 This aerosol iseffective in the control of wasps, hornets, yellow jackets, andspiders. It contains 0.1% Prallethrin and is available in 15 ouncecan.